Anyone who has seen a “Lush production” knew that the Centenary musical production of Beauty and the Beast would be a spectacle to behold …..it didn’t disappoint. 70 pupils in years 7 & 8 have been rehearsing for the show since before Christmas and their hard work shone through during 3 fantastic performances in which they sang and danced to rapturous applause and standing ovations. 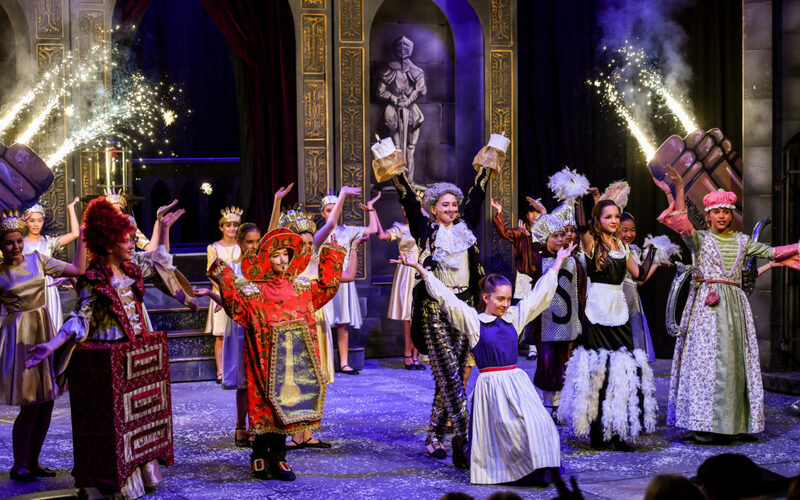 With such stunning costumes, a professional set and a live band, you had to pinch yourself to remember that we were sitting in a prep school theatre watching 11,12 and 13 year olds perform. Many congratulations to Mr Lush and the cast for pulling off yet another memorable Brambletye production.